There are almost 10,000 people currently homeless in Ireland. 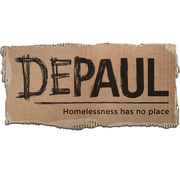 Depaul exists to serve homeless individuals and families, caught in the spiral of homelessness. Depaul is there because people experiencing homelessness deserve support to rebuild their lives and progress to a positive future.